A technical, performance fleece midlayer with a wicking finish and smooth, heathered face. Ideal for layering under a shell during cold days on the mountain or on its own for winter cardio workouts. When the trail beckons you for a fall run or the snow starts to fly outside your office window, the Gannett Peak Half Zip helps you turn the daydream into a reality. Built with 100% polyester fleece with a wicking finish and smooth, heathered face, this easy-on, half-zip jacket keeps you warm during daily fall or winter cardio. 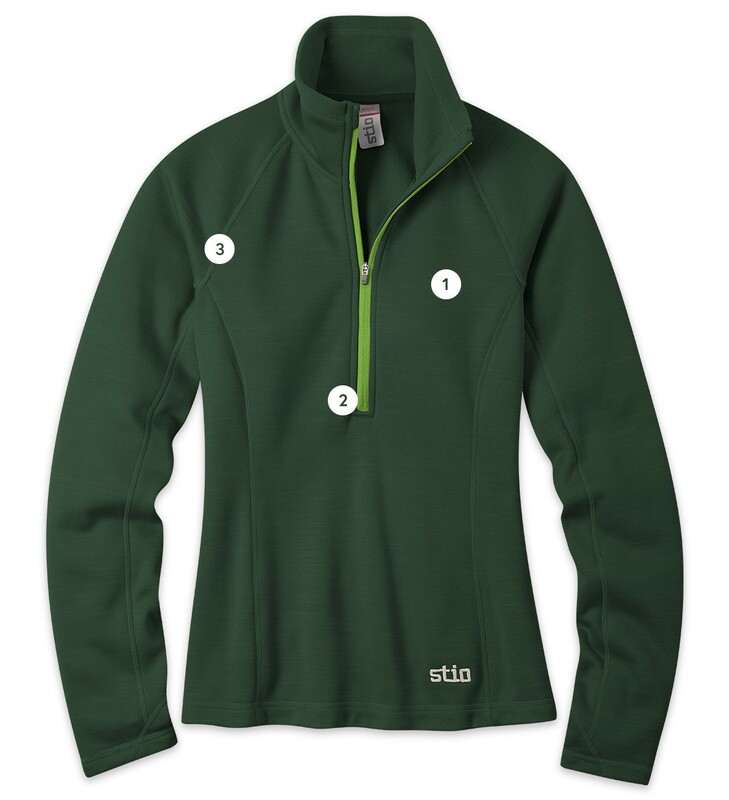 It also layers beautifully under your favorite shell for resort riding or backcountry comfort. Elastic binding at the cuff helps keep warmth in and princess seams make for a styled, feminine fit. Karuishi® is a technical fleece concept based on lightweight warmth and durability. A special 2-layer knitted construction creates an abrasion-resisant, anti-pilling face and a lofty, brushed next-to-skin backing. The end result is a high volume, lightweight insulator that breathes exceptional well. Center back length, 25 1/2"
A soft, stretchy, indispensable mountain midlayer.